Ulaanbaatar’s housing stock is dominated by pre-cast concrete panel buildings from the 1970s, 1980s and early 1990s. The buildings are in poor condition because of their age, poor or nonexistent maintenance and lack of insulation. Ulaanbatar’s harsh climate and the panel buildings’ decaying state lead to severe problems affecting the health and well-being of residents. 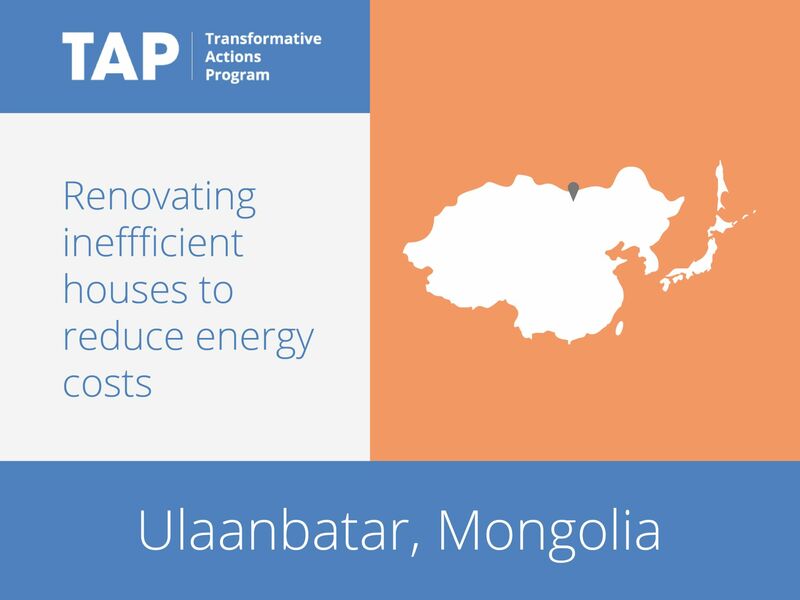 Rehabilitation will not only improve the residents’ well-being but also prevent an important part of Ulaanbaatar’s housing stock from decaying and turning into slums. Substantial energy savings can also be achieved as heat loss will be reduced. This will contribute to climate change mitigation and free up energy capacity for the city’s future growth.